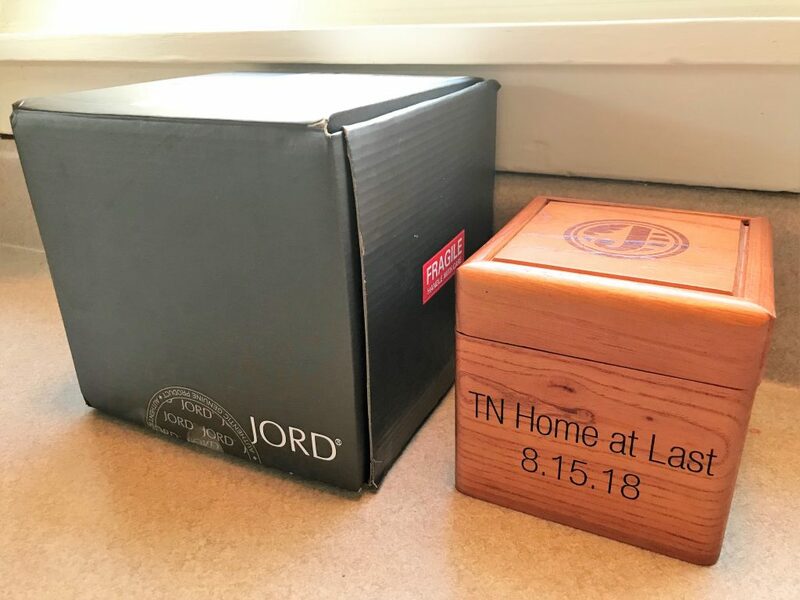 A Jord Watch was gifted to me in exchange for this post. All opinions are, as always, my own. Today is #5 in the Unique Gift series, and this gift today is NOT the generic gift for anyone on your list. 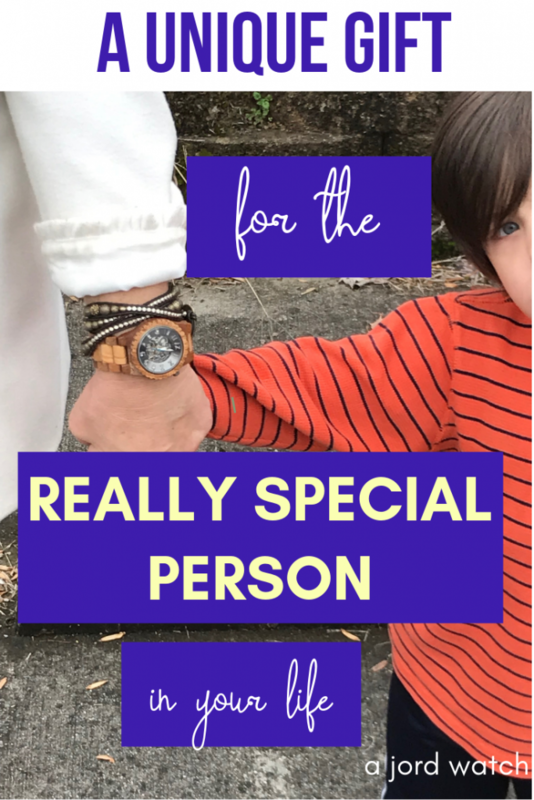 This is the gift for the one person that you are trying to show, in a special way, how important they are and how much they mean to you. 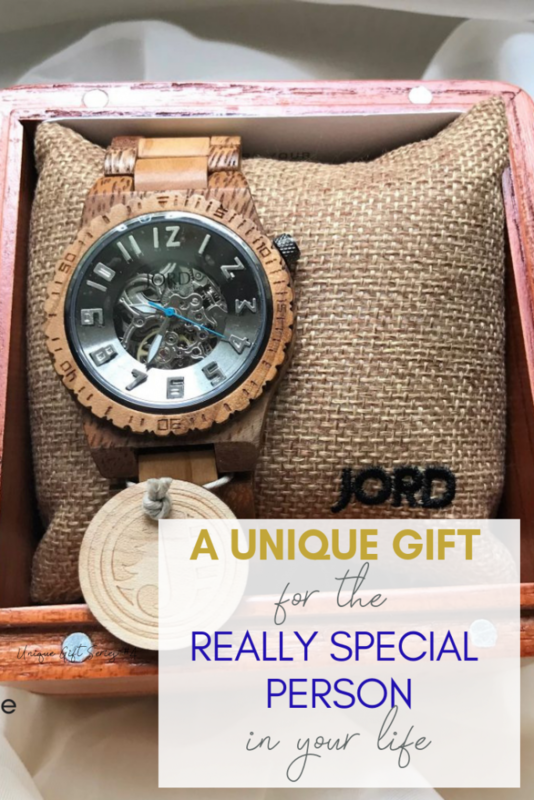 A Jord wooden watch is something unique and something special, just like they are. Jord’s philosophy is not just about tracking time but capturing moments and marking memories. 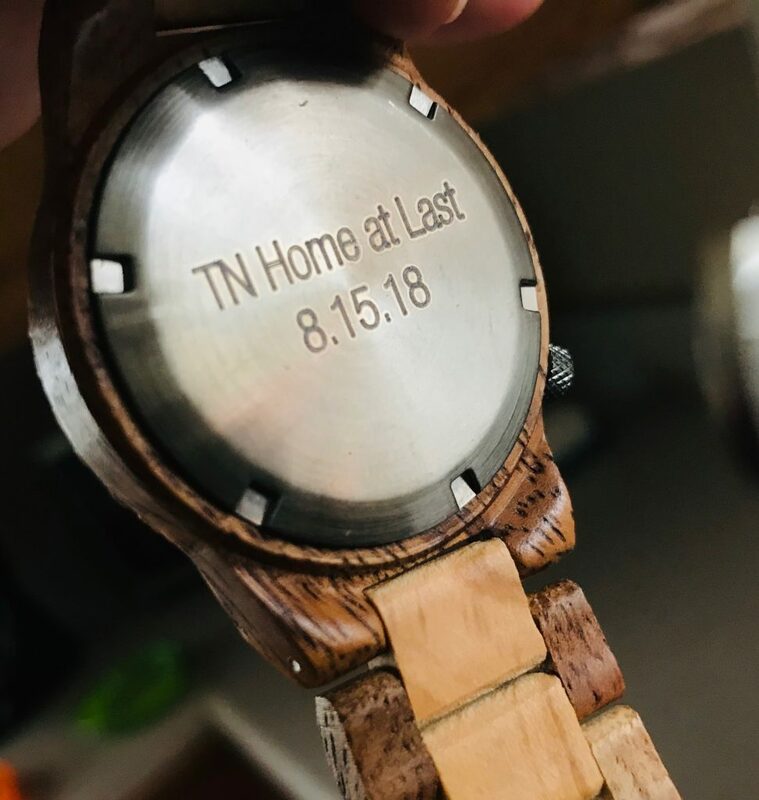 They realize how important time is and the valuable gifts we’ve been given, so they’ve beautifully designed a way to mark those moments. They also are committed to combining the most beautiful and wild materials in the natural world (wood) with modern mechanics and precision – both symbolizing what we need to function and thrive in our modern world. 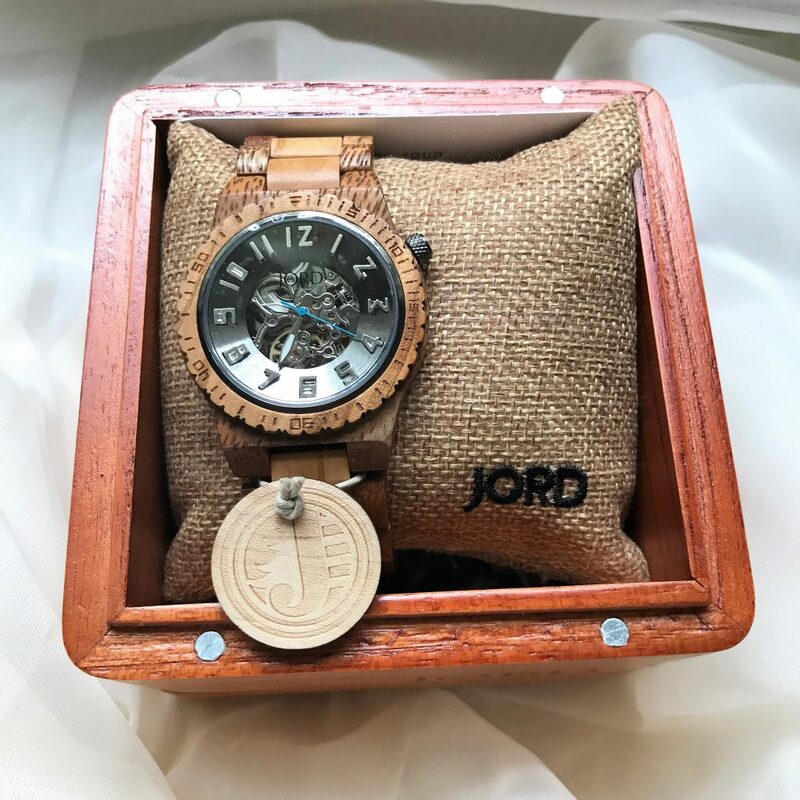 Jord uses 13 different kinds of rare wood, from locations all over the world. 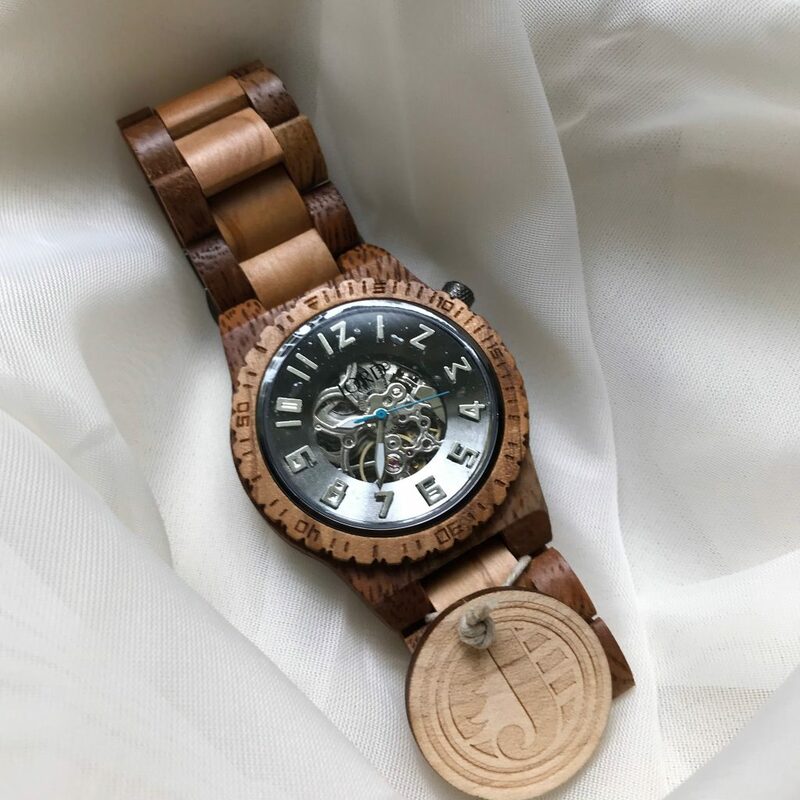 They don’t use any chemical or toxic substances to dye, treat or stain the wood of their watches. They also use sapphire glass for the surface, known in the watch industry for its durability and transparency. It is the hardest and most scratch-resistant material, second only to diamonds. 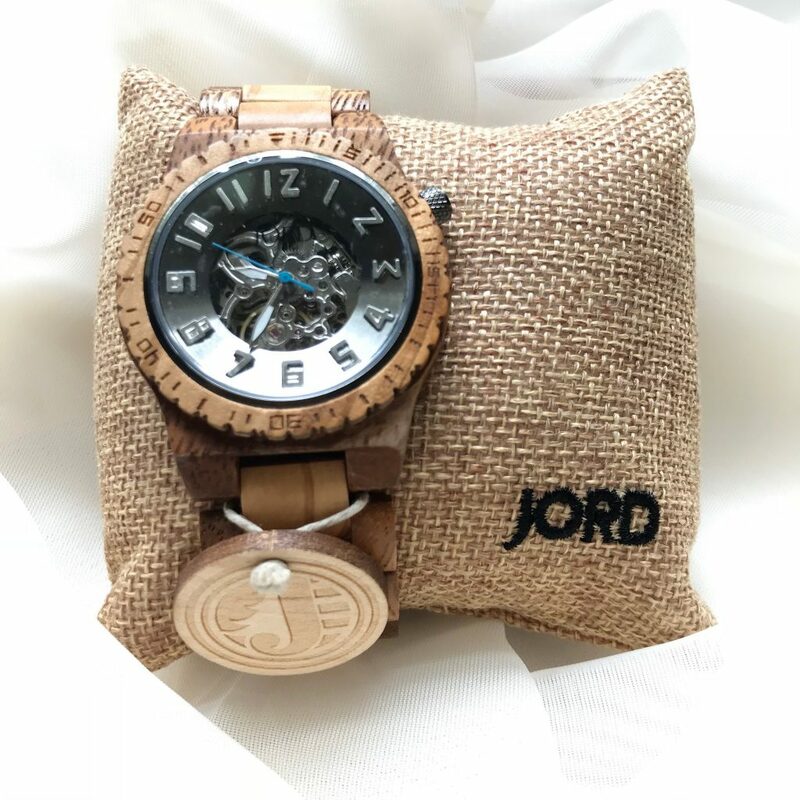 The materials used in a Jord watch are top of the line. These watches are also protected with tung oil, making it splash-proof. They also won’t wear out or crumble due to everyday wear and use. 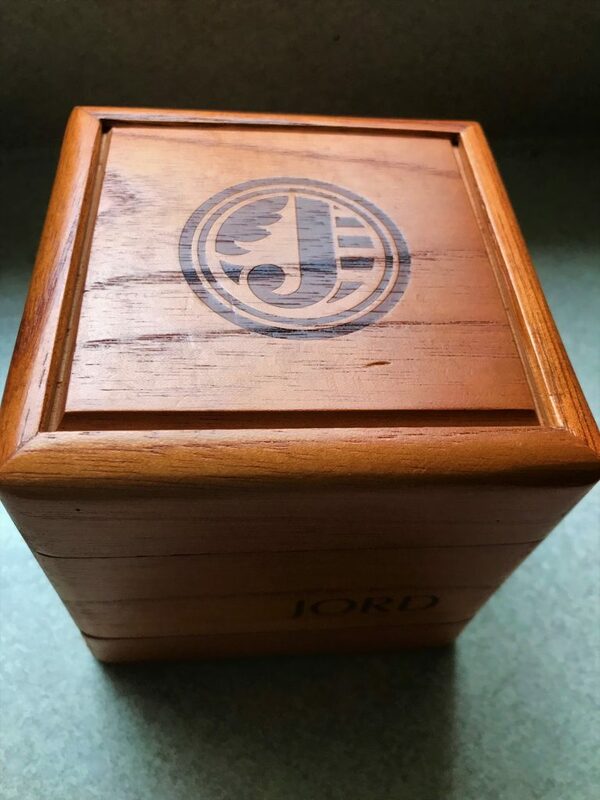 The outside box is blue and arrives with Jord’s sticker. The inside box is a Cedar Valet humidor box (a $115 value), to store and protect the watch. Also included is a cleaning cloth and a Jord Preserve citrus oil cleaning pen. It definitely arrives looking like a fancy gift! My watch arrived just a tiny bit too big. 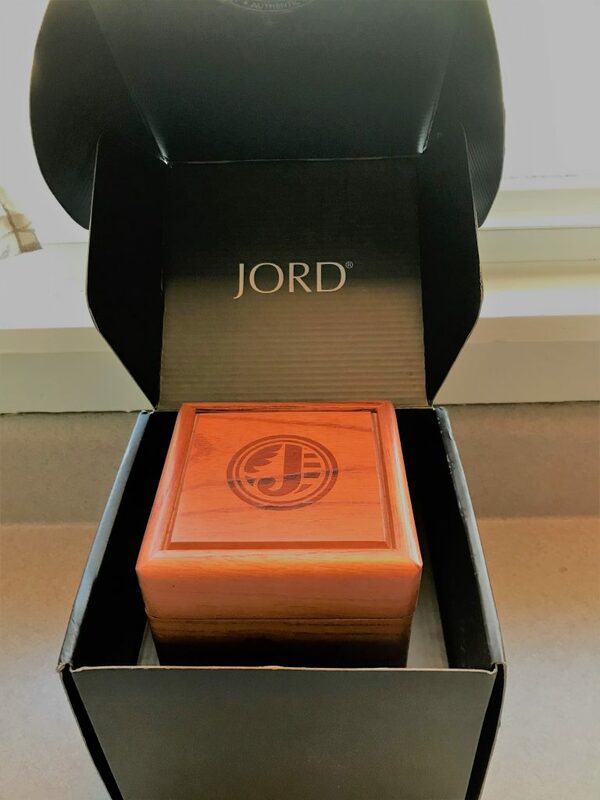 Jord’s customer service was amazing! They were in touch with me almost daily, helping me return the watch (at no extra charge) so it could be properly fitted. They contacted me to confirm the size and make sure it was to my specifications. They were so easy to work with, so polite, so helpful, making sure I wouldn’t be inconvenienced in the least. 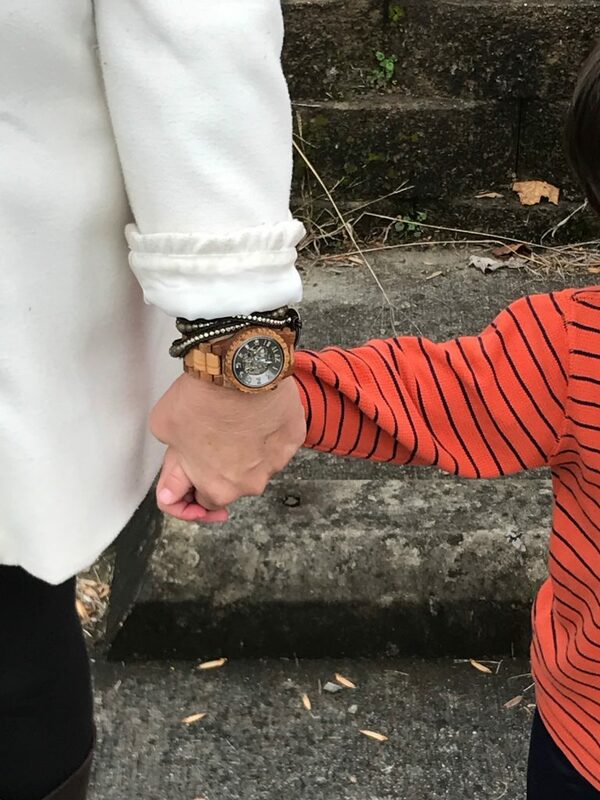 This watch is really perfect for all occasions. 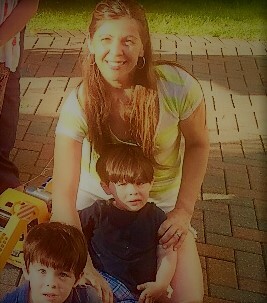 I’m a busy mom of twin 3-year-old boys, and I’m on the go all day long. 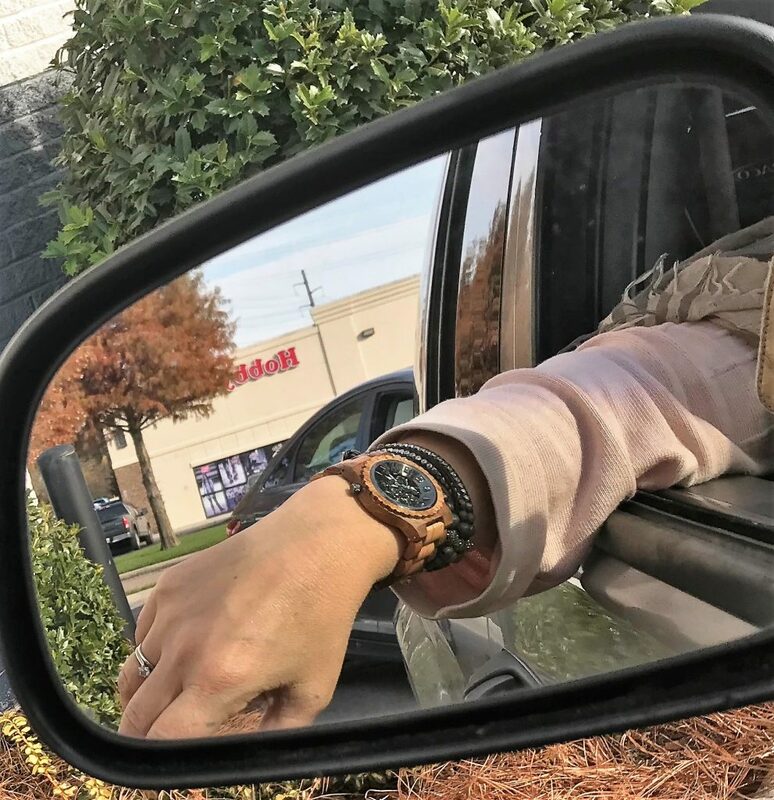 This watch is durable enough to keep up with my crazy lifestyle, and at the same time, it dresses up so for the times when I actually get out of my leggings and baseball hat. 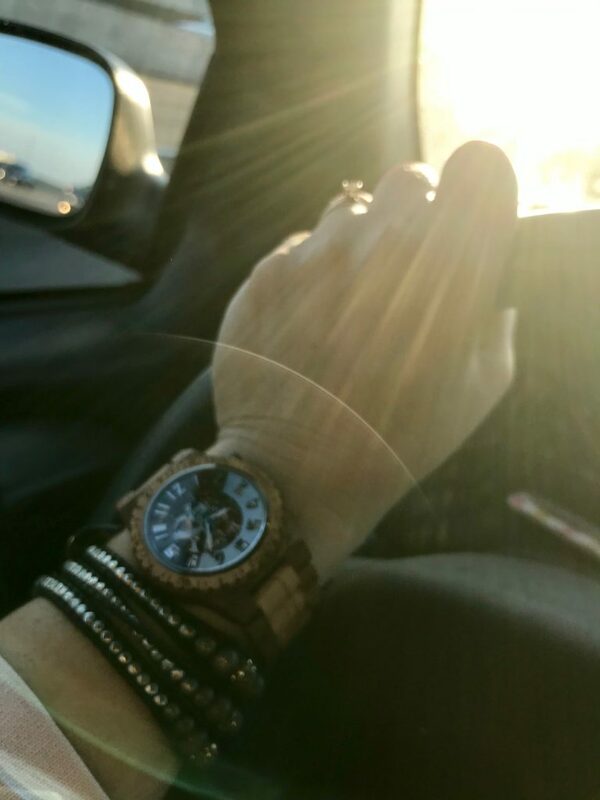 The watch I have is the Dover Acacia and Olive. The acacia wood comes from Tanzania, Africa, and Southeast Asia, and the olive comes from Europe. It definitely makes me feel a little fancier in my day-to-day just wearing it. 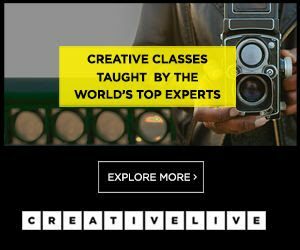 And you might be thinking on the practical side – in a world where smartphones rule the day and everyone tells time by looking at their phone, do people even wear watches any more? Yes, yes, yes. 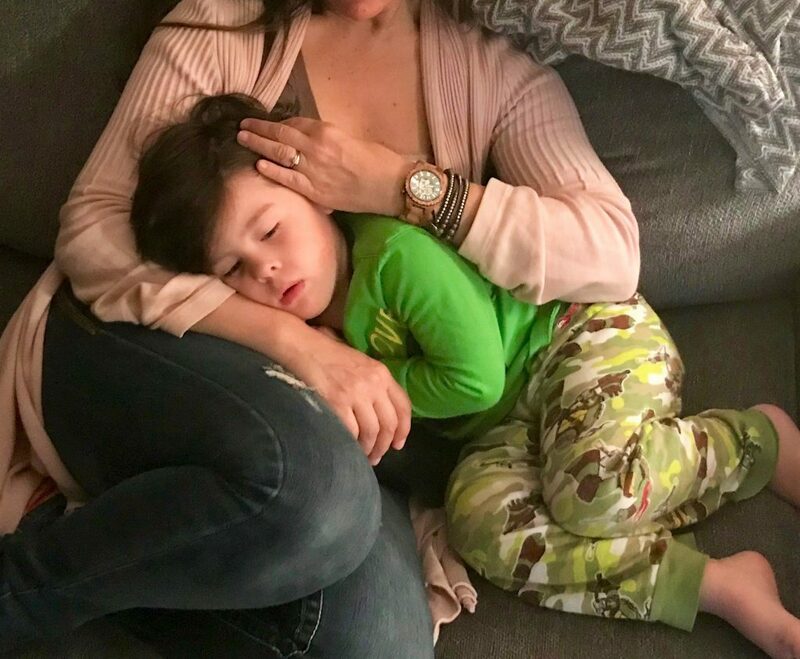 I can tell you that when I have my hands full with snacks, backpacks and 1,265 bags, plus a child by the collar in each one, it’s so much easier to flick my wrist to tell the time (and see how late we are going to be) rather than digging a cell phone out of my bag. There are 24 women’s watches to choose from and 36 men’s watches. « Unique Personalized Signs & Gifts the Whole Family Will Love!